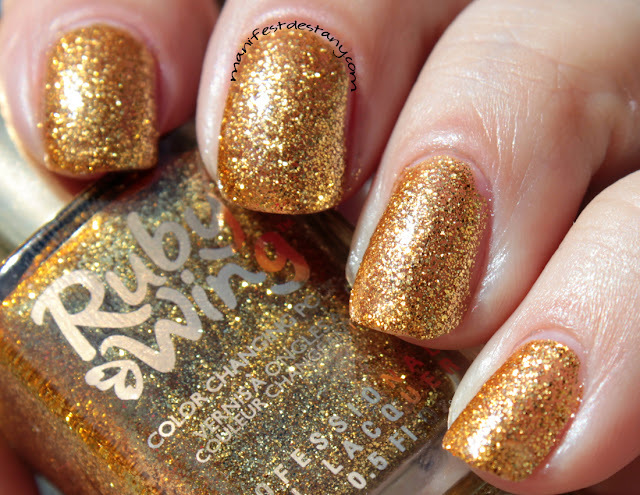 I've got a very pretty color-changing polish for you today - Ruby Wing Sunflower. It's also got a light scent to it. 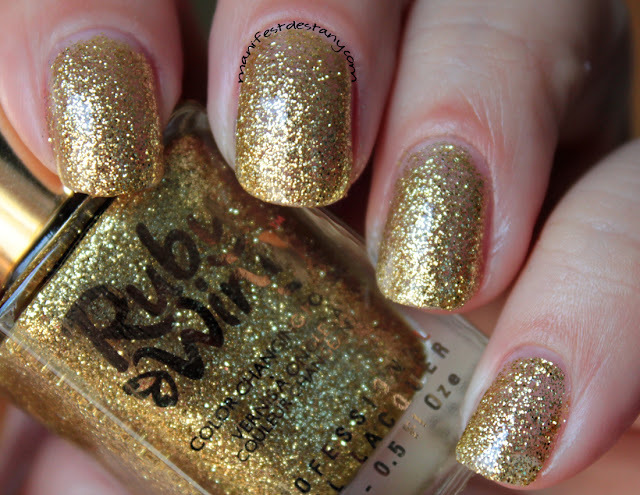 I only had to use two coats of this polish for good results. It shifts from a brownish goldy color to a bright orange-y gold.